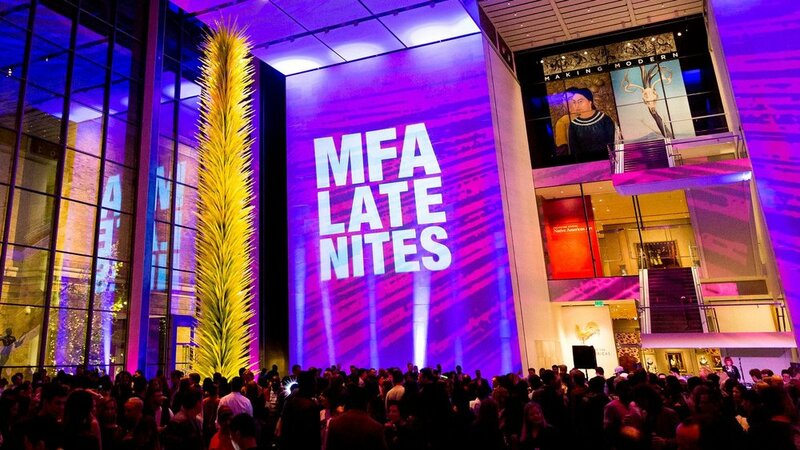 Join us to kick off a new season of MFA Late Nites, an after-hours celebration at the Museum of Fine Arts, Boston connecting visitors to art, culture and community! • Chilean-born, New York-based artist Cecilia Vicuña stages a participatory, interactive, meditative performance in conjunction with the opening of her exhibition, "Cecilia Vicuña: Disappeared Quipu," on view in the Linde Family Wing for Contemporary Art. • CHOIR CHOIR CHOIR is a Toronto-based singing group led by creative directors Nobu Adilman and Daveed Goldman. The duo takes a non-traditional approach; there are no auditions, and the audience is the choir. Choir! Choir! Choir! exists to celebrate music and push the boundaries between practice and performance, artist and audience, offering therapeutic benefits with the ultimate side effect: a powerful community. • Subdrift Presents - Presented by Subcontinental Drift Boston (Subcontinental Drift Boston), part of a national movement building South Asian creative community through month open mics for a special program of music, poetry, and dance. • Media_Rins is a Boston/internet based collective that creates and publishes work in the fields of electronic music, new media, and performance art. We organize events in the Boston area for adventurous and contemporary artists working with Hi-Fi digital tools, analogue electronics, and information media. • RIOBAMBA_dj, Sara Skolnick, is a Lithuanian-Ecuadorian DJ and producer currently based in New York. • "the SOUND" is a multidisciplinary sound, sculpture, and movement installation exploring the perspectives of young adult immigrants attending the Boston International Newcomers Academy. Conceived of and produced by composer/sound artist, Beau Kenyon, "the SOUND" is part of a series occurring in seven Boston neighborhoods from August - November, 2018.